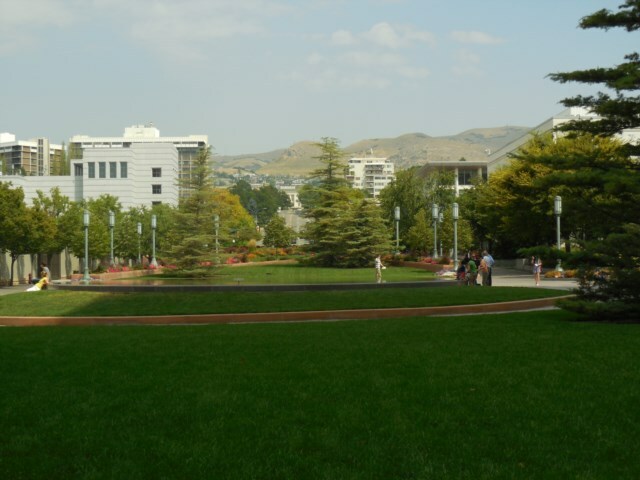 Situated in the northern part of the state of Utah, Salt Lake City is probably most famous for being the home to the headquarters of the Church of Jesus Christ of the Latter-day Saints, having been founded in 1847 by its then US leader, Brigham Young. In more recent times, many will recall, it played host to the winter Olympics in 2002. When planning a US road trip Salt Lake City might not be the first place that springs to mind, but wanting to revisit the magnificent scenery Utah is home to, we decided to use a different gate way than that of Phoenix, Arizona or Denver Colorado, both of which we have accessed before. 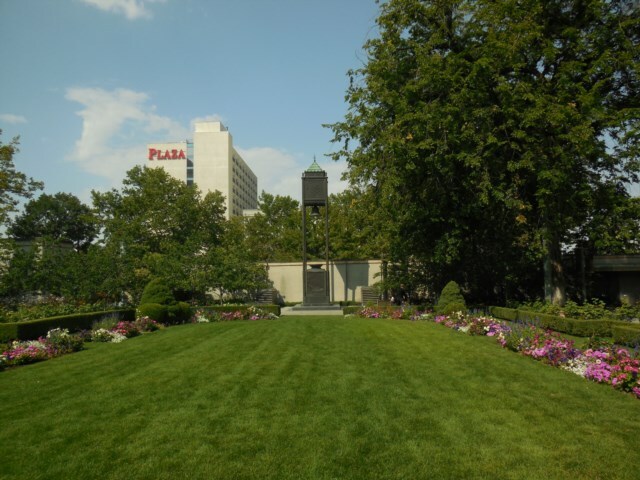 In addition to this one member of our party had recently become involved in researching his family tree and as Salt Lake City is home to the largest genealogy library of its kind in the world, we felt sure a trip there would prove invaluable. It' s not an easy journey, there are no direct flights from the UK to Salt Lake City and after an early flight out of Heathrow and a four hour layover in Chicago, by the time our head hit the pillow it had been almost 24 hours of traveling. 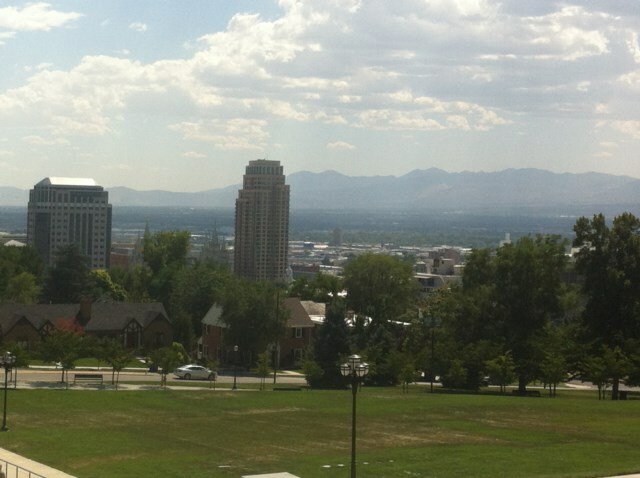 Salt Lake City has a climate of hot, dry summers and cold, snowy winters. We woke, refreshed, to a blisteringly hot, late August Sunday to find that unlike most other US cities we have visited, most of Salt Lake City remained closed. 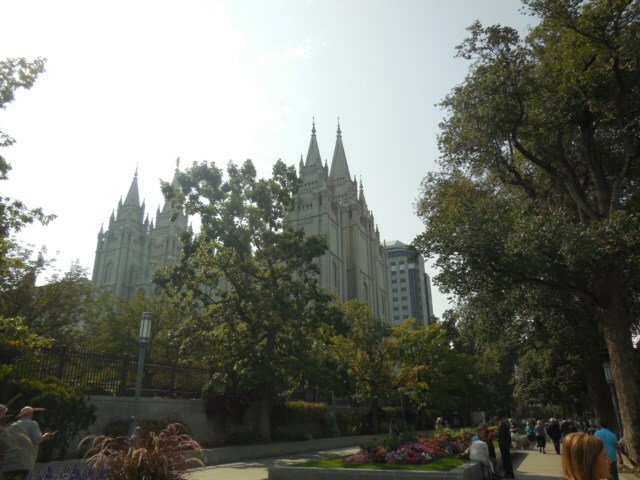 We were very close to Temple Square and decided to dedicate our first day exploring the Square and everything it had to offer. 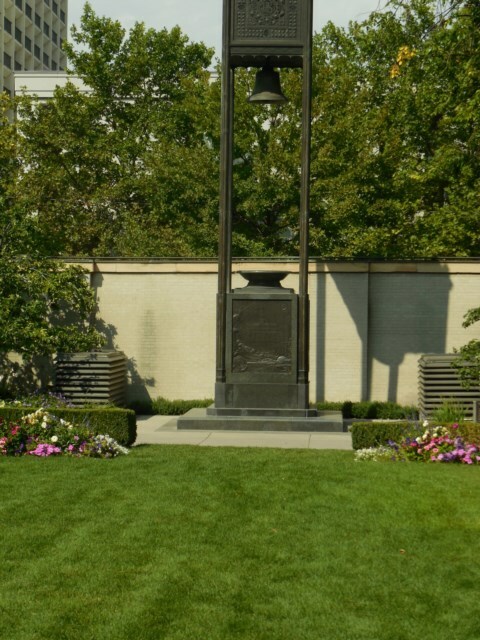 As well as being home to The Temple itself, a beautiful building which is not open to the general public, Temple Square houses 16 buildings, home to displays, interactive exhibits, films and historic sites the majority of which can be toured free of charge. Temple Square has two visitor centers, both offering different experiences and we decided to start our day at the North Visitor Centre. Here we found an interactive map of Jerusalem, featuring places I remember from my childhood days in Sunday School, The Sea of Galilee and The Mount of Olives amongst many others. There were also several other interactive exhibits all with a religious slant. 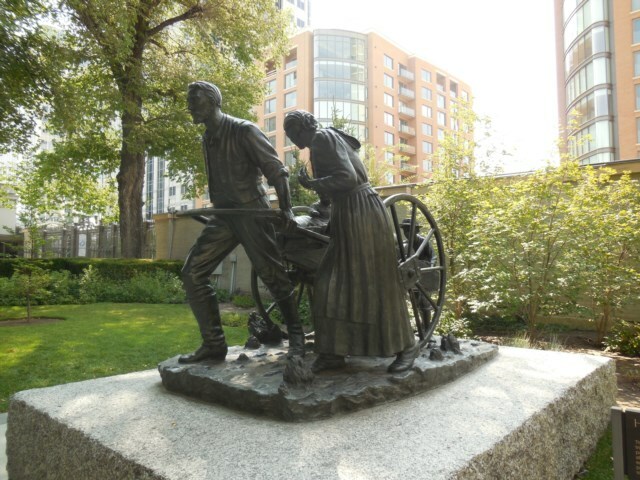 One of the films being shown, ' Legacy' , told the story of the Mormon pioneers westward trek and, had we had the time, I would have loved to sit down and watch it but it lasted for an hour, time we could ill afford to spare if we were to pack everything into our busy schedule. By far the most impressive exhibit in the building is the 11 foot marble statue ' Christus' which stands beneath the center' s magnificent rotunda. We wandered around the centre, watched a couple of shorter films and picked up a leaflet about Temple Square. It' s hard to go any where within Temple Square or its buildings without encountering the Mormon Missionaries, most of them young adults, and whilst they are keen to engage you in conversation, we found them to be polite, interested in us and our visit to the US in general and Salt Lake City in particular, and no efforts were made to convert us to Mormonism or focus conversation purely on religion, we were never made to feel uncomfortable. Viewed 1903 times since 17 January 2016.